OMR Peeps, Play Badminton, Tennis & Cricket At This Sports Academy Right In Unga Area starting Just INR 200! Those of you living near OMR and Padur, no more travelling to the other side of town to play your fave sports. We’ve found a venue located in Padur, where you can unleash your sporty side without travelling across a highway! Khel Sports Academy is right next to Chettinad Hospital in Padur and offers pay and play game sessions for cricket, tennis, and badminton. Khel has been around since 2014, but few people know about this sporting venue. Covering almost two acres, they’ve got two indoor wooden badminton courts with a synthetic surface. You and your friends can book the court and play for just INR 400 per hour, which works out to just INR 100 per person! 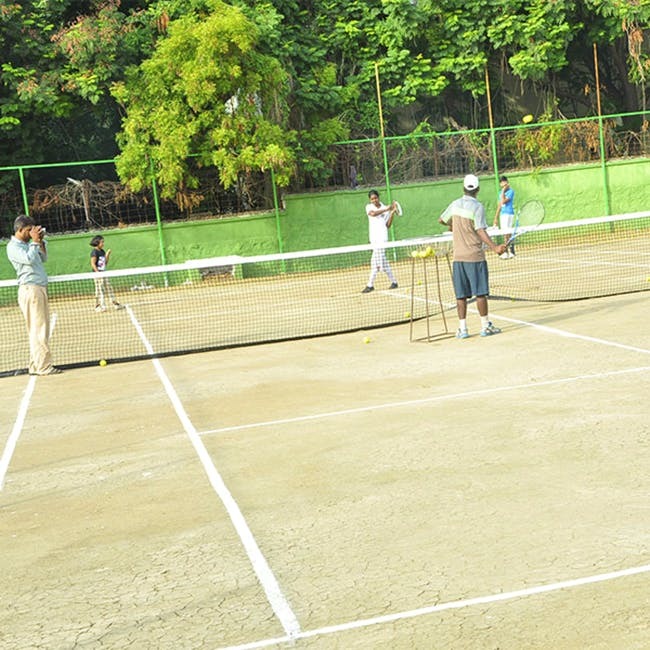 Khel has two clay tennis courts and you can play starting INR 200. Coming to cricket, which is one of the popular sports played here, they’ve got two nets with a hard turf, and you can play starting INR 300. These charges are for non-members, and you can become a member for additional benefits. Khel is equipped with floodlights, lockers, showers, changing rooms, and parking space. There’s also a fitness area sprawling across 7,200 acres. Khel Sports Academy offers professional coaching for all three sports starting INR 1,500 per month.